Silver Strikers have moved up from third to second position on the 16 member log table, thanks to their 1-0 home win over Nchalo United at Silver Stadium Saturday afternoon. Thuso Paipi”s goal was enough for the Bankers to bag three points and dislodge Be Forward Wanderers. The Nomads, who were exempted this week after contributing over three players to the Malawi National Football Team, have moved down to third position with 39 points from 20 games as well. Nchalo United remain at the bottom with 12 points from 20 games. Elsewhere, Karonga United claimed a 2-1 home win over Mafco FC at Karonga Stadium. The home side netted through Khumbo Msowoya (brace) while Patrick Luhanga reduced the arrears for the Salima based side. Karonga United are on seventh position with 26 points from 21 games whereas Mafco are second from the bottom with 16 points from 20 games. Kamuzu Barracks and Moyale FC pocked a point each after settling for a barren draw. Kamuzu Barracks are on eighth position with 25 points whereas Moyale are on eleventh position with 23 points, from 20 games each. 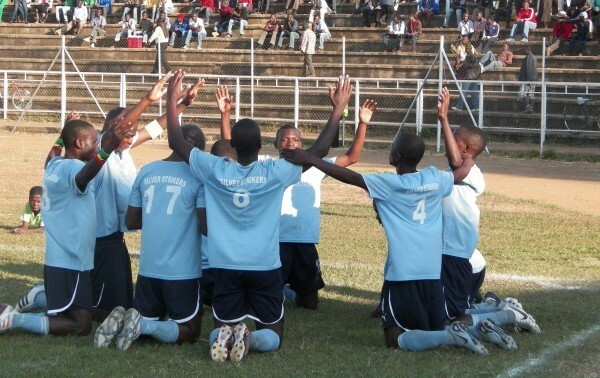 Mzuni FC thrashed Dwangwa United 2-0 at Mzuzu Stadium. Michael Tete and Maxwell Gasten netted for the home side. Mzuni are on fourteenth position, two points behind Dwangwa United who have 23 points from 21 and 20 games, respectively. Nyasa Big Bullets, who have also been exempted this week for equally contributing players to the Flames, top the log table with 46 points from 20 games.